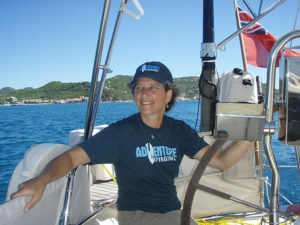 Ever since her return from her solo circumnavigation in 1987 at the age of twenty-one, Tania has lectured to many different groups all around the country and overseas. Rapt audiences have listened to the story of her youthful adventure, seen the exotic slide show, heard the reflective narration of what it means to take on a staggering challenge, to set and reach an enormous goal, and how such an experience can forever impact a life. This is a timeless, genuinely recounted and inspirational story you won’t soon forget.